Music is one of the most fascinating expressions of African culture. With traditional and popular music, people express their feelings and their values, their challenges and hopes. African music is part of both community life and school life in rural Africa, and is part of city life in urban Africa. In the streets of Lagos, Accra, Dar-Es-Salaam or Johannesburg there is thesound of African popular music. Street musicians entertain the public with music and performances. Almost every African man, woman and child can play an instrument, or sing songs or dance. Songs are sung while the people work in the fields. “Call and response” songs, typical for traditional African music, are sung to synchronize people’s movements and make their work easier. The communal spirit of African music is in every song and every melody. All the big events in life, such as giving birth to a child, initiation of boys and girls, weddings and burial ceremonies are accompanied by a variety of traditional songs and rhythms. With songs, the African people keep connected to their ancestors and their gods. 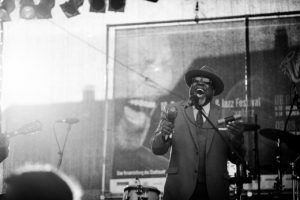 The traditional “call and response” songs, along with tales and stories, are among the most influential cultural contributions of African slaves to modern American culture. Today’s pop music has its origins in traditional African music. African people, taken to the Americas as slaves some centuries ago, had only songs and stories to bring with them into the new world. With their rhythms and songs, they helped create popular music in the U.S.A., and revolutionised that country’s traditional church music. Gospel songs, blues and jazz all originate from West Africa. The music African-Americans developed in the 20th century flowed out in various directions. Since the First World War African music dominated the urban life in both the U.S. and Europe. African pop music has developed into the kind of stamping music styles heard on a regional level, in connection with the rise of modern African cities: Afrobeat or Highlife in Lagos (Nigeria), Makossa in Yaoundé (Cameroon), rumba and Soukous in Kinshasa and House Music in Capetown or Durban (South Africa). 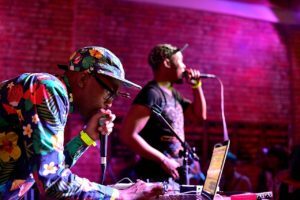 Hip Hop is, actually, an African musical form, which is built upon the pattern of traditional “call and response “ music. This style existed in African-American pop culture, was then copied by African groups, and thus returned African culture to its origins. 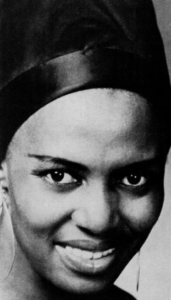 Certainly you have already heard the music of African stars, including the South African singer,Miriam Makeba (who has been involved in the fight against racial segregation), the Nigerian representative of the Afrobeat, Fela Anikulapo Kuti, the Senegalese musician Youssou N’Dour, Touré Kunda, Rokia Traoré, (a singer from Mali), or Amadou and Miriam. All these artists have carried the spirit and the rhythm of traditional African life into the world, making people on all continents aware of the contribution of African music. With his song, “Seven Seconds,” Youssou N’Dour has brought modern African storytelling and melody into the American and European pop music tradition.